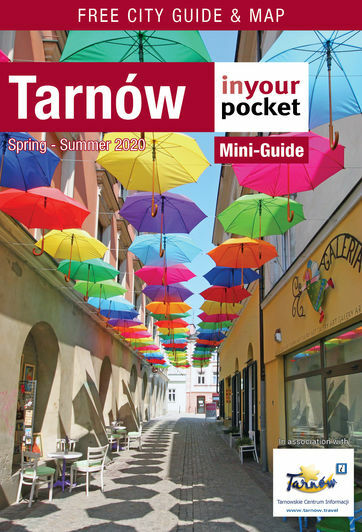 Located at the intersection of several trade routes, Tarnów has been home to a large marketplace since medieval times. In addition to the actual market square, the city has had an open-air market just south of the Rynek for centuries. Known locally as 'the Burek,' this area actually extends for several blocks and includes several small city squares and pavilions selling all manner of goods, from food and flowers to clothing and cosmetics. Whatever it is, whether it's worth anything or not, you can get it at the Burek - and a trip here is the quintessential Tarnów shopping experience. The name 'Burek' officially refers to the fruit, produce, meat and dairy market on Plac Bema which was recently modernised - don't miss the charming Organ Grinder. Beyond it, however, you'll also find the Hala Targowa (or 'Hala Miejska' as it's also called) clothing market as well as some rogue merchants hawking their wares in the vicinity﻿. All told it's several blocks of merchant sprawl, and probably more rubbish than you've ever seen anywhere in one place before. Have some change and small bills handy, as asking the vendors to break a 100zł note is usually met with disdain. Opening hours vary and some vendors open and close as they please, but the general rule is to get there early, as trade dries up by mid-afternoon.